Welcome to Group 325! 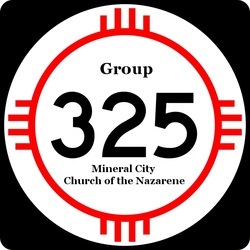 Group 325 is the youth ministries department of the church and serves students in grades 7-12. Below is a description of the weekly programs offered! Continue to the bottom for more information on monthly events, downloadable event details, and permission forms. You can also find pictures of past events by going to our "resources" page on the navigation bar and looking at the teen section! God has a plan- and He wants to use YOUR story! 4. To understand "I am my Brother's Keeper"
The teens meet each Sunday at 9:30 for Sunday School in the Teen Center. Teens discuss topics of interest and what the Bible says about dealing with life's situations. Our Wednesday night program for teens held in the Teen Center from 6-8 pm. During this time, teens connect to God's word through a particular topic and go through the Bible and discuss what God wants us to do in particular situations. The evening also consists of extra activities including an opening warm up activity, games, and snacks. Each month, the teens spend one Saturday hanging out together doing an activity. These include movies, lunch, shopping, or another group activity. Check the calendar page for the date each month. Each year the youth group participates in World Visions 30 Hour Famine. Teens spend one weekend in March without food, instead raising money for hunger awareness and participating in service projects both at the church and in the community. Beginning in 2010, the teens will participate in a weekend retreat where they focus on taking the message of the cross outside the church walls. Teens meet at a retreat location and have guest speakers who bring messages and activities. Our Youth Group is self sufficient and receives no funding from the Church through budgets. Our group believes that we must be financially responsible and thus fundraise to pay for activities. Fundraisers take place throughout the year and those who take part in the groups activities are expected to do their part to finance the group.